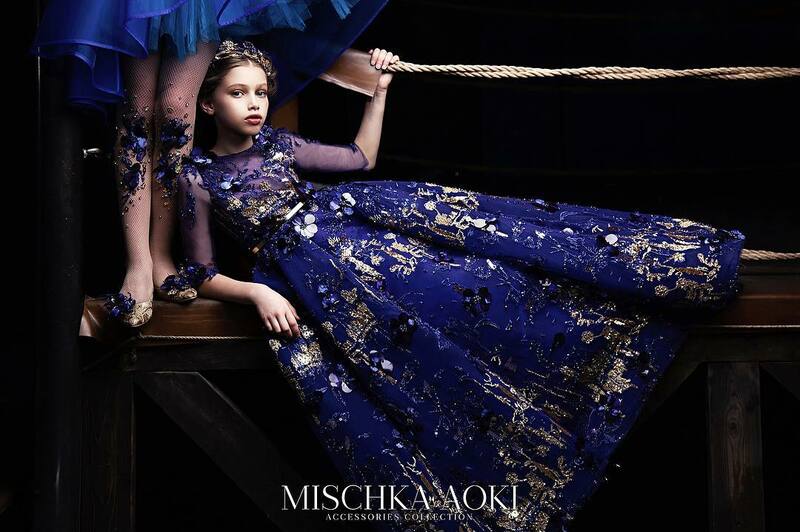 This fall/winter fashion is travelling back in time and takes children on a journey to the Wild West. Sicilian flair and Wild West imagery are merged in the Dolce&Gabbana collection which references both the old /wild west/ with the new (the fashion). 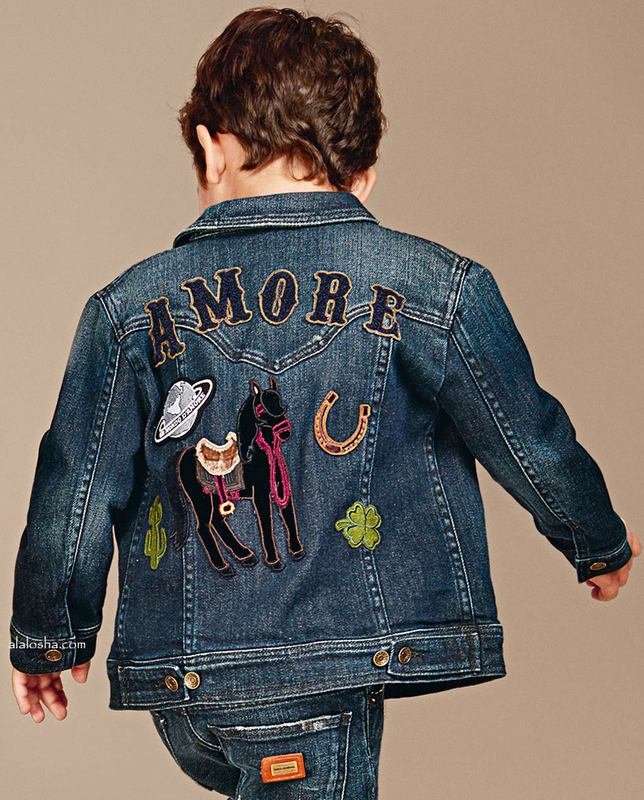 The famous children’s fashion designers offer boys and girls’ clothing line that match the folky lonely cowboy's codes perfectly. 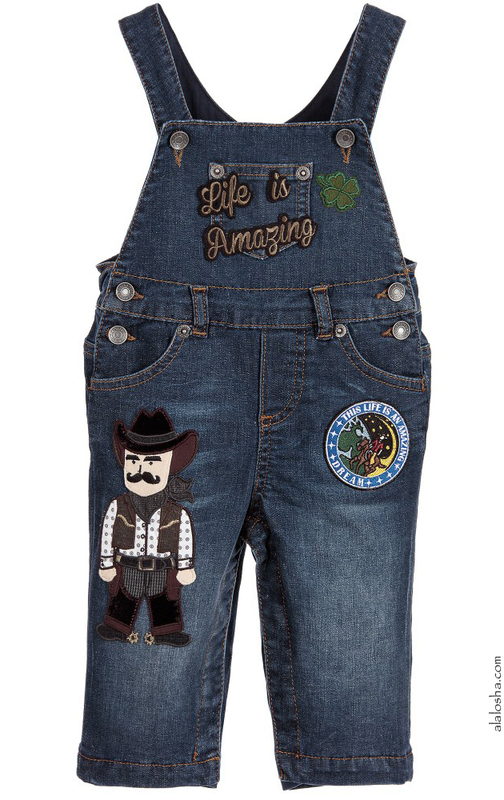 Stylish cowboy theme appliqué hop on for a movie-like kids’ fashion adventure. Boys blue denim shirt by Dolce & Gabbana. Made in cotton, this 'Sicilian Western' themed design has a 'washed out' and faded look, with distressed areas. 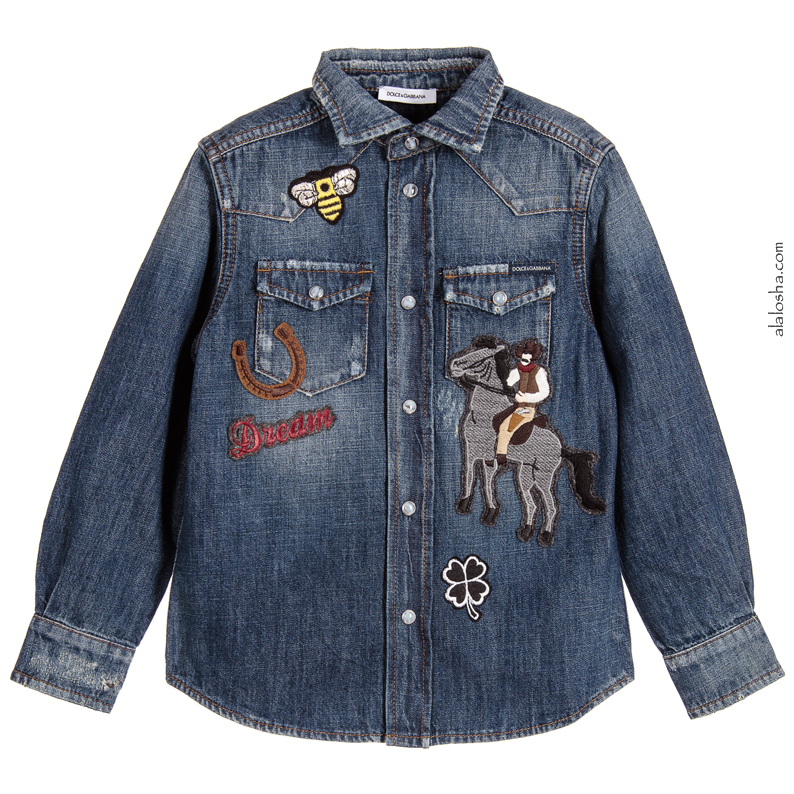 There are assorted appliqué on the front, including horseshoes, cowboys and bees, in a fusion of Sicily meets the Wild West. 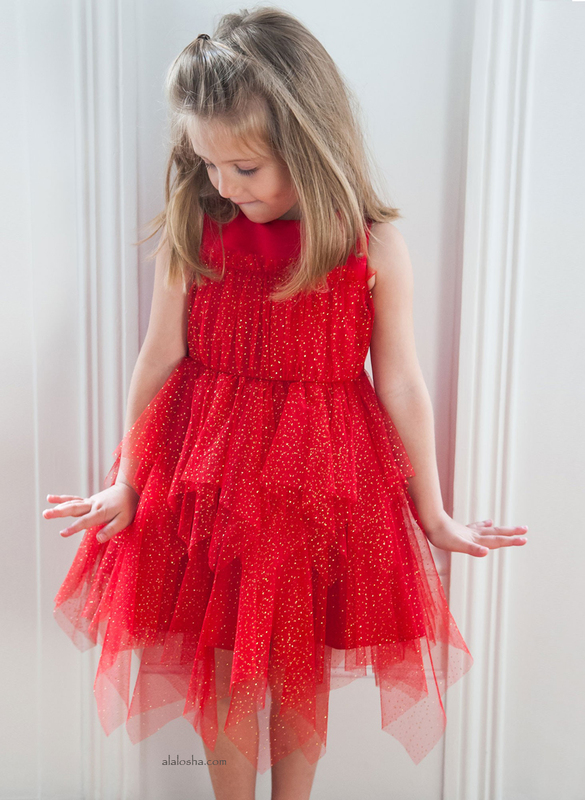 There are two chest pockets, a pointed collar and pearlised popper fastening. Baby boys soft denim dungarees by Dolce & Gabbana. Made in stretch cotton, they are embroidered with 'Sicilian Western' logo patches on the front. They have shoulder straps with button fastening, side buttons, a chest pocket, logo rivets and an elasticated back panel. They are fully lined with a smooth cotton blend lining for comfort and have a leather logo flag at the back. 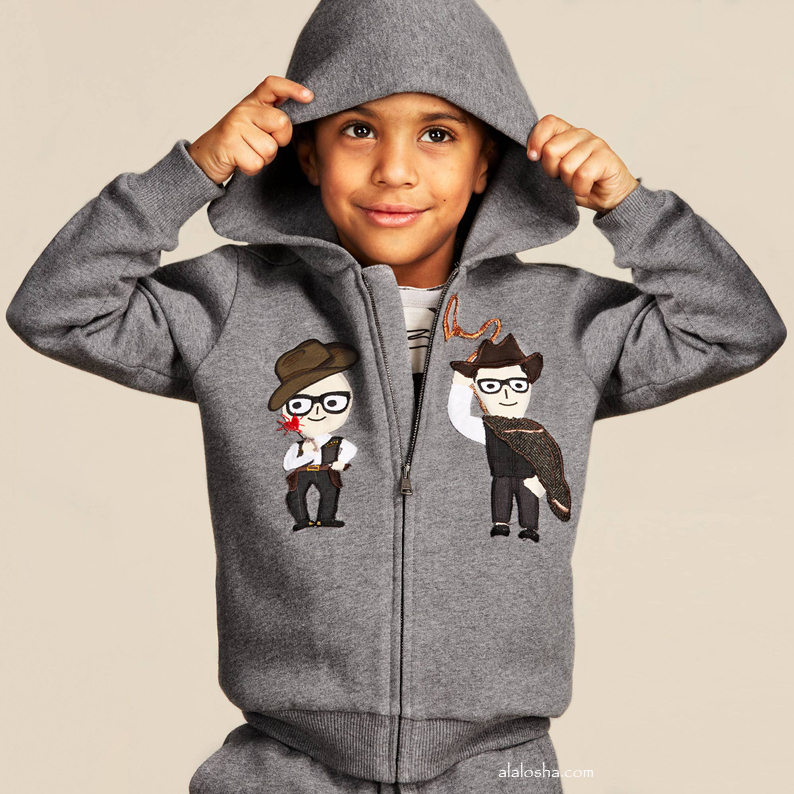 Boys grey melange 'Sicillian Western' tracksuit by Dolce & Gabbana, made in soft cotton jersey. The top is hooded and zip fastening and features two DG cowboy caricatures on the front and the 'DG Family' red logo appliqué on the back. The trousers have a ribbed, drawstring waistband with two front pockets and feature the two DG cowboy caricatures on the back pocket. 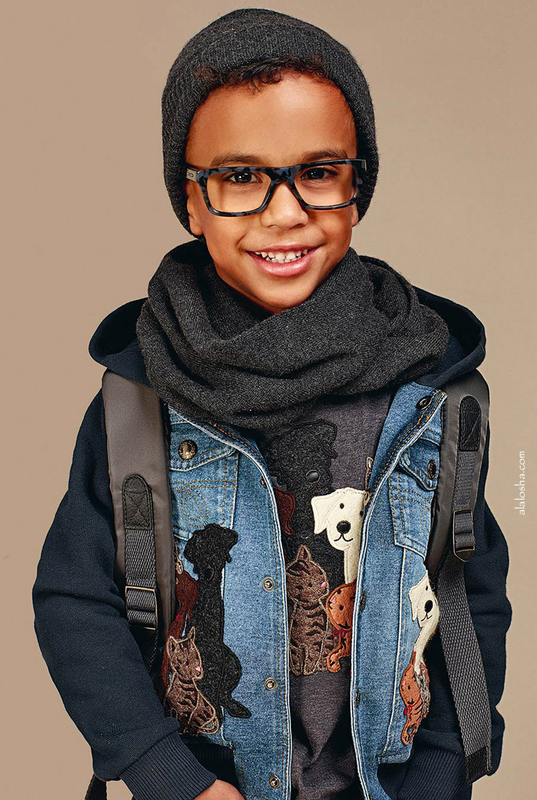 Boys blue wool 'Sicilian Western' sweater by Dolce & Gabbana. 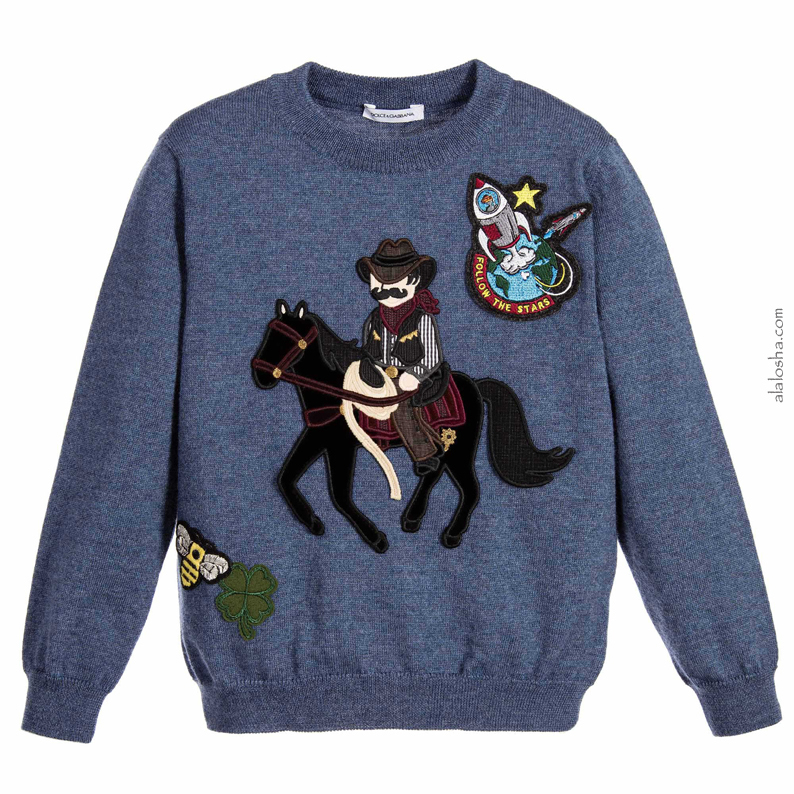 Finely knitted in pure new wool, this soft-feel sweater has a cowboy and horse appliqué, a rocket and signature bee and lucky clover on the front. 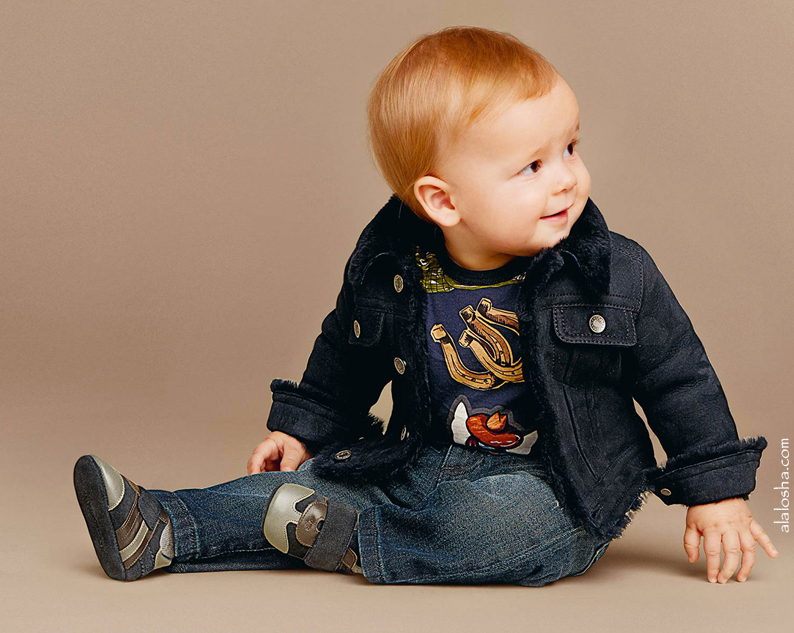 Baby boys blue denim shirt by Dolce & Gabbana. Made in cotton, this 'Sicilian Western' themed design has a 'washed out' and faded look, with distressed areas. There are assorted appliqué on the front, including a stetson, lucky clover and spaceship, in a fusion of Sicily meets the Wild West. There are two chest pockets, a pointed collar and pearlised popper fastening. Boys grey melange 'Sicillian Western' babygrow by Dolce & Gabbana. In a romper style and made in soft cotton jersey with popper fasteners on one shoulder and between the legs for easy dressing and changing. The front features two DG cowboy caricatures riding in a wagon, with the 'DG Family' logo appliqué below in red.